Charles Krug is the oldest winery in Napa. It’s hard to believe the winery has been producing wine since Abraham Lincoln was president back in 1861! Fortunately, many of the properties historic structures have been restored including the redwood cellar, which is the oldest, still functioning structure in the region! The original owner, Charles Krug, has a colorful history which included a stint in prison for participating in a coup to overthrow the German Parliament. After release from prison, with tales of the Gold Rush taking place in California, Charles Krug was ready for a change. He came to California in 1852. Within a few years he moved to Napa and began a new career as a wine maker. Charles Krug is one of the original five pioneers of Napa Valley. He is probably the only one of the original five to have worked with most of the other original members of that club. Krug’s first job in the California wine industry was working for the founder of Buena Vista in Sonoma, Agoston Haraszthy. Krug’s next job was a wine maker for the first vineyard planted in Napa by John Patchett. Patchett and Krug worked together for a few years before Krug left to form the Charles Krug Winery. Interestingly, that wine was probably the first officially reviewed California wine. Composed by the Robert Parker of his day and published in “California Farmer Magazine,” the review said, “The white wine was light, clear and brilliant and very superior indeed; his red wine was excellent; we saw superior brandy, too.” The industry was so young, when Krug and Patchett made their first vintage, they did not even have a grape press. They used an old cider press, as that was all they had. Following his stint with John Patchett, Charles Krug ended up marrying the daughter of one of the wealthier citizens of Napa Valley, Edward Bale. Charles Krug created the first official commercial winery in Napa Valley in 1861 based on the 20 acres the couple was given as a part of Caroline Bale’s dowry. Think about it. In 1861, Abraham Lincoln was still president, California only recently received statehood and America was engaged in the Civil War. During the formative years in Napa Valley, most growers were still planting what was referred to as mission grapes, which was a combination of various varieties. Charles Krug felt those vines produced inferior wines and was quoted as saying, “Nothing ruins the price and reputation of good California wine more than the sale of inferior wines at low prices… The wine man must sell his inferior wines to the distiller.” Charles Krug brought along with him, a European outlook on wine production for California. He had the right idea. He wanted to produce quality wine and not just bottled, fermented, grape juice. Krug was one of the first growers to plant Bordeaux grape varieties in the Napa Valley. In 1870, Charles Krug hired the just emigrated Jacob Beringer as his wine maker. Beringer went on to found Beringer vineyards. Aside from running his own winery. Krug was hired the winemaker for Gustave Niebaum in 1879 at his Inglenook winery in Rutheford. The second chapter in the Charles Krug history begins in 1943 when the Krug family sold the estate to the patriarch of the Mondavi family, Cesare and Rosa Mondavi. Peter Mondavi ushered the modern age into Charles Krug when they started to produce Cabernet Sauvignon wines in 1944. The also added a wine made from Bordeaux blends known as Claret. The Mondavi’s pioneered early wine making techniques like cold fermentation and producing a special Vintage Selection bottling of the Charles Krug Cabernet Sauvignon. Charles Krug was the first California winery to begin aging their wine in new French oak barrels in 1963. In 1958, the Mondavi family made perhaps their best purchase for Charles Krug, they obtained 325 acres of the famous To Kalon vineyard. This specific purchase was set up so that is was owned by a new company, C. Mondavi and Sons. They also purchased grapes from other growers. Their holdings of To Kaylon were used to produce their Vintage Selection Cabernet Sauvignon wines. The history of Charles Krug and the entire California wine industry changed after Peter Mondavi and Robert Mondavi had a massive fight. Robert Mondavi was forced out of the family business and started to build his own family empire as a wine maker and winery owner. After Robert Mondavi left Charles Krug, their wines fell from favor as quality slacked off. 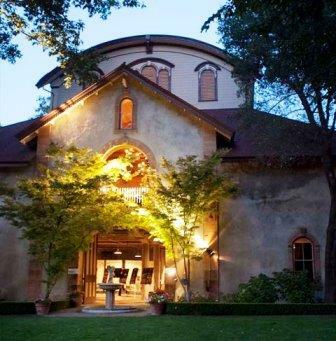 A law suit and counter law suit was filed between the Robert and Peter Mondavi. At the conclusion of the trial, the judge found in favor of Robert Mondavi. The judge ordered the sale of the Charles Krug winery. However, the brothers reached their own settlement and in 1978, Peter Mondavi bought out Robert Mondavi. Part of the settlement between the brothers also transferred the ownership of the To Kaylon vineyards holdings to Robert Mondavi. If you’re seeking to taste fully mature, California wine at its best, the wines produced from 1945 to 1968 at Charles Krug are some of the better examples I have ever tasted. These are stunning, rich, pure, elegant tasting experiences that would fool anyone in a blind tasting when placed next to some the best Bordeaux wines of the same era. The Vintage Selection and Claret are the wines to seek out. Charles Krug wines are best served at 15.5 degrees Celsius, 60 degrees Fahrenheit. The cool, almost cellar temperature gives the wine more freshness and lift. Young vintages of their red wine can be decanted for 1-3 hours, depending on the character of the vintage. This allows the wine to soften and open its perfume. Older vintages might need very little decanting, just enough to remove the sediment. The red wine of Charles Krug is best served with all types of classic meat dishes, veal, pork, beef, lamb, duck, game, roast chicken, ribs, hamburgers, barbecue, roasted, braised, grilled dishes and stews. is also good with Asian dishes, hearty fish courses like tuna, salmon, mushrooms and pasta. The white wine of Charles Krug is best served with all types of seafood and shellfish, sushi, sashimi, chicken, veal, pork and cheese. While Cabernet Sauvignon is naturally their heat and soul, at Charles Krug, they also produce Merlot, Chardonnay and Sauvignon Blanc. Light, sharp. bright, acidic yellow, citrus fruit oriented wine with a strong grapefruit character. This is one of those, best on a hot summers day wine. With loads of sweet, chocolate covered cherries, plush, soft textures and a sweet, fruity finish, this Bordeaux variety blend is ready to go. For a Napa Valley wine of this quality, it's also fairly priced. Light, yet rather charming in a simple, fresh, red cherry, earth and tobacco infused, medium bodied style. Drink up as it's not going to get better. Still, it's quite a treat to drink bottles of 50 year California Cabernet Sauvignon that are hanging in there. Wet earth, truffle, stone, cassis, plum, smoke and cigar box aromas reminded me of an old Pauillac. The chewy wine offered a mouthful of red fruits with some tart characteristics. It's always a treat to taste these old California Cabernets, even when they have already started to get tired and drop their fruit. This is the first red wine from 1965 I've tasted. Served blind, I thought it was a 60's era Bordeaux wine from the Medoc. Tobacco, smoke, mushroom, earth and forest floor scents, a mouthful of chewy cabernet and a cassis filled finish are the hallmarks of this shockingly good wine. If the finish had been longer, the wine would have earned a higher score. This bottle was opened by the original purchaser. Still delivering pleasure at close to 50 years of age! Tobacco, earth, forest floor, cherry, olive, herb and cassis scents can be found with some effort. Solid in texture, with a masculine leaning, this almost ancient, (By today's standards) California Cabernet was a lot of fun to taste. The wine ended with a smoky, cassis finish. This is worth seeking out as a an example of what the previous generation of vintners in California were producing. On the lighter side, with some rusticity to the tannins that did not stop me from digging all the cassis, bright red cherries, leaf, herbs and tobacco. Blind, this reminded me of a mature Classified Pauillac. So, this is what 50 California Cabernet tastes like! Smoky, cassis, earth, mushroom, tobacco, and blackberry tea aromatics introduced the wine to your senses. Full bodied with cassis and a hint of bitter cherry flavors made up the finish. This outstanding wine was a treat to taste and share with friends. It's a treat to be able to open wines with close to 60 years of bottle age. Especially when those wines are from California, as I seldom see wines from the golden state with that much age. Charles Krug Claret is a blend of Bordeaux varietals. Light in color, almost tea like in hue, tobacco, earth, stone, jammy, dark cherry liqueur and whisky aromas greet your nose. With the soft, syrupy, patina of age in texture and the earthy, spicy, cassis filled finish, this could have passed for an old, Left Bank Bordeaux wine in a blind tasting. After 20 minutes, the wine began to lose focus and take on maderized characteristics. Still, for those first 20 minutes, it was great to be able to taste history with friends. Brickish in tint, with a strawberry, cherry, herbish nose was further complicated with a bit of VA. Silky palate entry with kirsch accents accompanied by the special texture that only truly aged wines offer. What a beautiful wine and special treat. This was the finest older bottle of California wine I have ever tasted. Bravo!